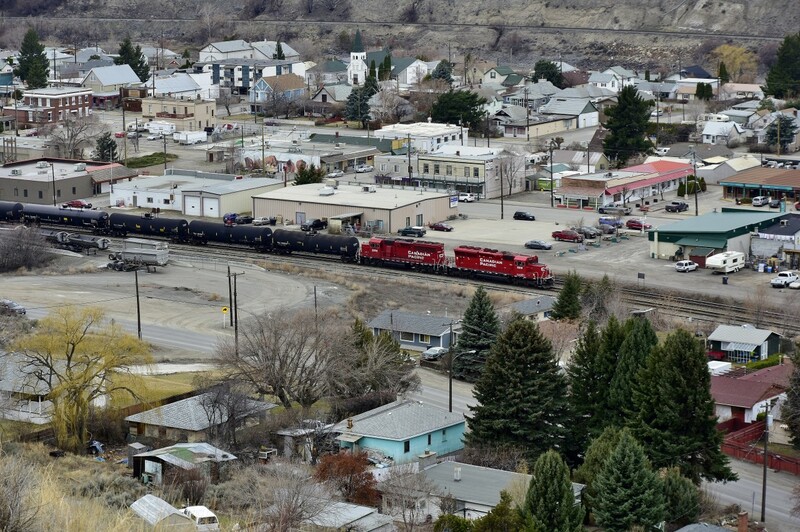 Railpictures.ca - Richard J Hart Photo: CP nos.5019&2234 are seen switching the CP yard in downtown Ashcroft. The CN tracks can be seen in the upper part of the shot. | Railpictures.ca – Canadian Railway Photography – photographie ferroviaire Canadienne. Caption: CP nos.5019&2234 are seen switching the CP yard in downtown Ashcroft. The CN tracks can be seen in the upper part of the shot.